Congratulations on being a guest designer! I love your shaker card. It is so sweet. The colors of twine you used are perfect! Thank you Beth, I really appreciate it! This is so super ADORABLE Kendra! LOVE the shaker and your perfect Valentine's day color combo! Those bears are precious and you colored them perfectly! So happy to have you as a Guest Designer for Trendy Twine! Looking forward to seeing more of your awesome work! 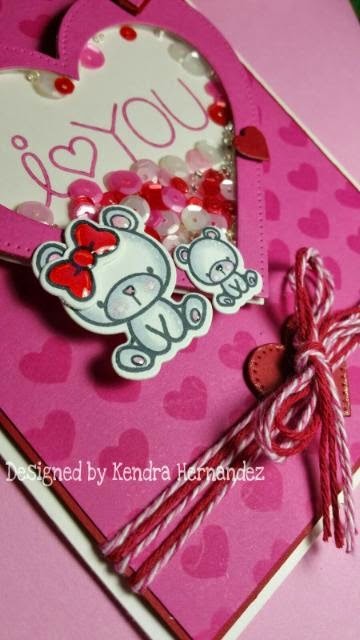 What a gorgeous card, Kendra! 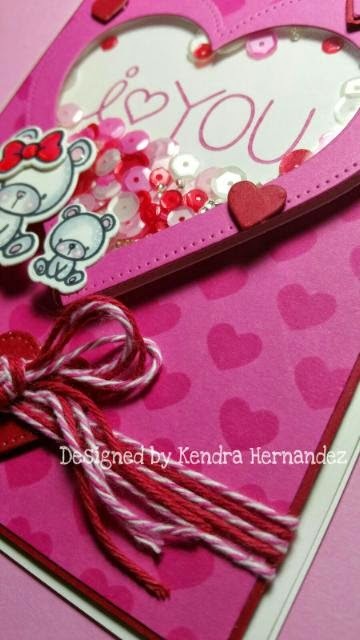 The color combination is so pretty and perfect for Valentine's Day. And your bears are absolutely adorable. Congrats on being a GD over at Trendy Twine!! Awesome News! I am a huge fan of shaker cards and I absolutely LOVE this one!! Adorable image and shaker heart! Adorable card, love the shaker design with the prettiest sequins. The colors you used look awesome and those little bears are so sweet! Thanks so much for joining us as our guest designer over at Trendy Twine. Have a great weekend! Oh Kendra, this is so CUTE! I love the shaker and I LOVE the sequins! !The twine looks AWESOME! You did a fabulous job guesting and showcasing TT. Thank you for sharing with us! Wow!! This is pretty awesome!! 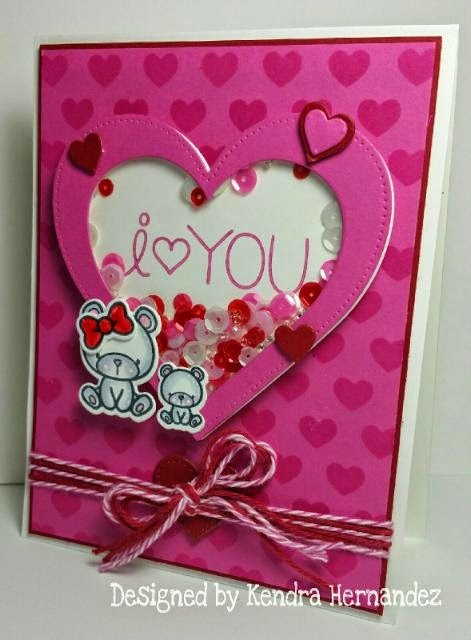 Love those cute animals and the fun shaker card!! Thanks for being an awesome Trendy Twine Guest Designer! Love the super duper adorable shaker card! Great use of the awesome Twine!